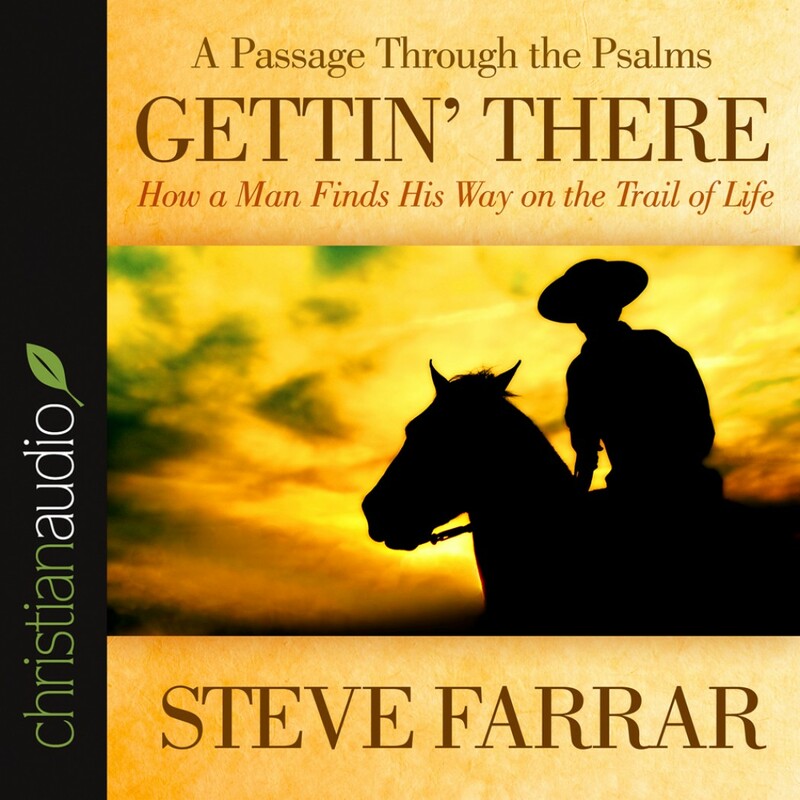 Gettin' There By Steve Farrar Audiobook Download - Christian audiobooks. Try us free. In Gettin' There, bestselling author Steve Farrar delves into the book of Psalms to give men a new sense of continuity, direction, purpose, and perspective. The Psalms are like a marked trail through life, showing that others have walked ahead and faced many of the challenges, temptations, heartaches, and perplexities that men will encounter on their journeys. Farrar shows that when a man begins to understand that the strong and caring hand of God is sovereign over everything in his life -- including his trials and heartaches -- his confidence, hope, and joy will increase dramatically in the God who created him and desires to use him.